Slit ventricle syndrome includes a variety of clinical entities. 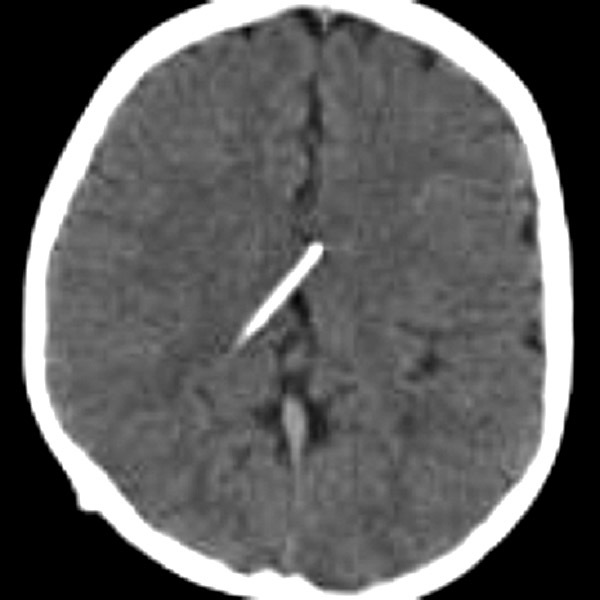 Slit or small ventricles in the child with a shunt can be associated with high, low, or normal ICP and can be symptomatic or asymptomatic. Neurosurgeons treating children with shunts should be cognizant of each situation, its presentation, diagnostic investigation, and management strategies. Scans can be misleading: Beware of imaging evaluations that report “stable ventricular size” in the symptomatic child, as a shunt malfunction may still be present. One approach not appropriate for all patients: The management of headaches in patients with shunts depends on the patient’s presentation, how the presentation correlates with imaging studies, the etiology for the patient’s hydrocephalus, and how the patient has responded to previous interventions. Elevated ICP requires removal of volume or more space: Elevated ICP may require a shunt revision, addition of another (lumboperitoneal or cisterna magna) type of shunt, or a cranial expansion procedure. Low ICP requires volume: Low ICP may require hydration, medication, or addition of anti-siphon devices. ETV can replace shunts: Some shunts can be removed after ETV.